Cue up the sad trombones - Infinity Blade: Dungeons, the hack-and-slash fantasy action game that wowwed crowds at the announcement of the new iPad, won't see the light of day this year according to Epic Games. PR manager Wes Phillips explains the situation. "Ever since the talented team at Impossible Studios got their hands on Infinity Blade: Dungeons, they’ve been busy adding their great ideas to the game. There was also the matter of getting the Impossible Studios team up and running with desks, chairs, staplers and computers. 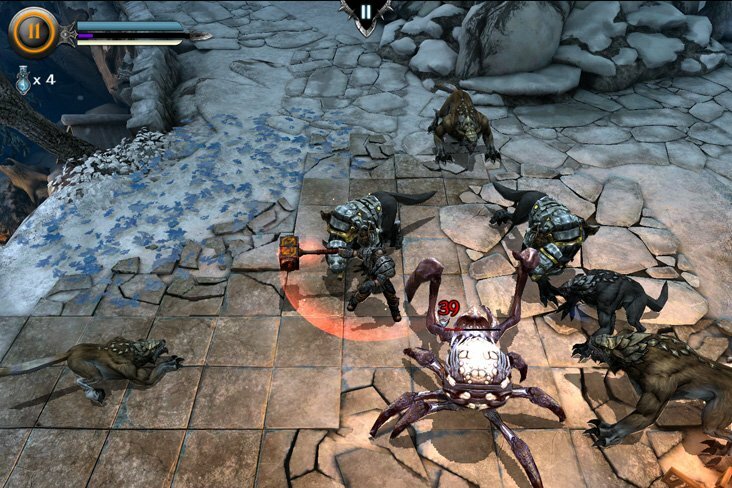 The logistics of a new studio and implementing all these great ideas required a little extra time, so Infinity Blade: Dungeons will hit iOS in 2013." Honestly, this game should have been ready for the launch of the new iPad. The fact that we're going to see another iPad launch before it's ready may leave Apple thinking twice about whether to let Epic share the stage with them at another keynote. Infinity Blade was apparently more profitable than Gears of War, but that's hardly a guarantee that this new studio will be as successful, even with the established and successful brand behind it. The trailer still looks nice, but will it live up to the wait and the now-rising expectations?